Experience Rating is a mandatory program for workers compensation applied only to employers that are statistically large enough for the individual employer’s own past experience to be an indicator of how the loss costs for this employer will differ from the average in the future. The Plan, in effect, recognizes differences between individual employers by comparing the experience of each employer to the average experience for all employers in the same classification. Differences are reflected by an experience rating modification which may increase or decrease the premium that an employer has to pay. Experience ratings are generally determined on an annual basis and are usually effective for a period of twelve months. 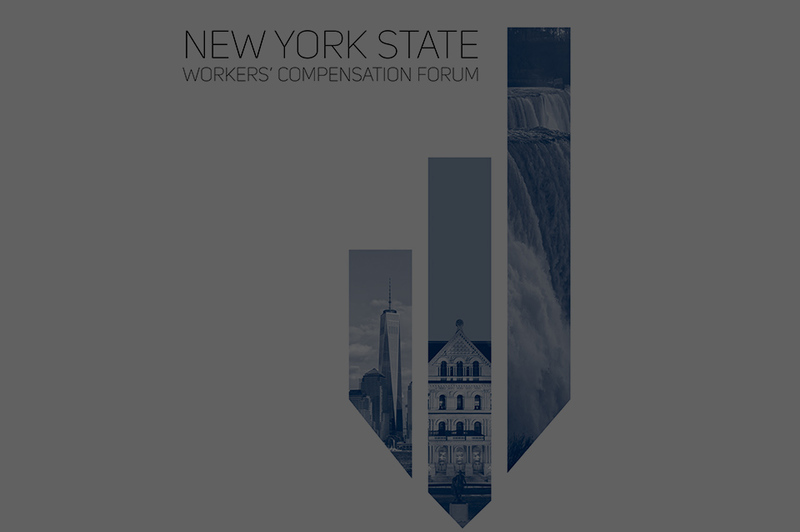 The Rating Board automatically computes and promulgates experience ratings for eligible New York employers and provides this information to the employer’s carrier for calculation of the policy premium. The experience period used to determine an employer’s experience rating generally consists of three completed years of experience ending one year prior to the effective date of the modification. For example, for a rating effective July 1, 2006, the experience period would contain experience from policies effective July 1, 2002, July 1, 2003 and July 1, 2004. The payroll or other equivalent exposure developed during the experience period of more than two years produced an average annual premium of at least $5,000. The experience modification is a factor applied to the premium which, as previously stated, reflects an employer’s variation from the average of all employers in the same class of business. Using the employer’s own past experience, the experience modification is determined by comparing actual losses to expected losses. This comparison of losses results in a premium reduction (credit) if the employer’s experience is better than the average, or a premium increase (debit) if this experience is worse that the average. For example, a modification of .75 results in a 25% credit or savings to the employer, while a modification of 1.10 produces a 10% debit or additional charge to the employer. In some cases, no change results and a factor of 1.00 (unity) is then applied. Sale, transfer or conveyance of all or a portion of an entity’s ownership interest. Sale, transfer or conveyance of an entity’s physical assets to another entity which takes over its operations. Merger or consolidation of two or more entities. Formation of a new entity subsequent to the dissolution or non-operative capacity of an entity. Voluntary or court-mandated establishment of trustee or receiver, excluding a debtor in possession, a trustee under a revocable trust or a franchisor. the collective ownership of all those having an interest in the entity both before the change and after the change amounts to either less than 1/3 ownership before the change or less than 1/2 ownership after the change. The material change in ownership is accompanied by a change in operations sufficient to result in a reclassification of the employer. The material change in ownership is accompanied by a change in the process and hazard of the operations. Unless excluded under the foregoing provisions, an employer’s experience, in conjunction with a change in ownership, shall be retained in future ratings. Originally reported loss values were incorrect due to a clerical error. The claimant or carrier has made a third-party recovery and the third-party has not filed a liability-over claim. The third-party in b. above files a liability-over claim, but the settlement of such claim does not result in its recovery against the employer. 1) Official ruling denying benefits under the Workers’ Compensation Law. 2) A claimant’s failure to file for benefits during the period of limitation allowed by the Workers’ Compensation Law. 3) A claimant’s failure to prosecute his/her claim when a carrier contends, prior to the valuation date, that the claimant is not entitled to benefits under the Workers’ Compensation Law. Where a claim has been legally held to be a Special Disability Fund case. Where a claim has officially been declared fraudulent by a court or the Workers’ Compensation Board. NOTE: 1) Revised experience ratings will automatically be issued by the Rating Board if the changes contained on a correction report, under one of the permissible conditions listed above, affect the current modification and up to two preceding experience modifications only. No other changes in modification other than those which are described in 2 below, will be promulgated. 2) For a case involving subrogation or an official declaration of fraud, revised experience modifications will automatically be issued by the Rating Board upon receipt of correction reports that affect the current and up to six prior experience modifications. an entity owns a majority interest in another entity. Note that all entities are combinable for rating purposes regardless of the number of entities involved. Majority of issued voting stock. Majority of the members if no voting stock is issued. Majority of the board of directors, or comparable governing body, if a. or b. is not applicable. The same central authority who appoints or controls the appointment of the board of trustees or similar body and exercise direct, complete and active control over the finances, properties, operations and activities of separate legal entities within the same religious denomination. 3. If the rules above provide for more than one possible combination of entities, the combination involving the most entities shall be made. However, the experience of any entity may be used in only one combination. An ERM-14 form must be submitted to Underwriting Services to establish ownership changes. See the “Forms” section of the website to obtain the ERM-14 form. The contract shall be awarded in the name of the associated contractors as a joint venture. The joint ventures shall share responsibility for, and participate in, the control, direction and supervision of all work undertaken. The joint ventures shall maintain a common bank account, payroll and business records. As of the effective date of the initial policy covering the joint venture, an experience modification shall be applied for a period of twelve months. This will be an arithmetical average of the modifications of the individual contractors. In calculating this average, a modification of 1.00 (unity) is used for any contractor not subject to experience rating. Renewal modifications shall be applied in the same manner as described in a. above, until such time as the joint venture qualifies to be experience rate based on its own experience. Future experience ratings shall be based exclusively on the experience of the joint venture. Note: Experience ratings of the individual contractor shall exclude all experience developed as a joint venture. Multistate Experience Rating – A risk is eligible for experience rating on a multistate (interstate) basis when it meets the requirements for intrastate rating, and also develops experience during the experience period in one or more additional states where the Interstate Experience Rating Plan is effective. The National Council of Compensation Insurance, Inc. is the rating organization responsible for the calculation and verification of multistate ratings.